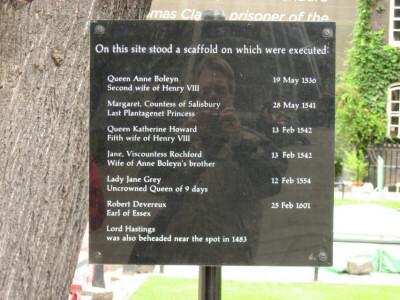 Tower of London's execution site. . Wallpaper and background images in the Tudor History club tagged: england tudors queen anne boleyn katherine howard margaret of salisbury execution tower of london site. This Tudor History photo might contain знак, плакат, текст, классной доски, and доске.